In its 2015 report to Congress, the EPA noted that the National Resource Council (NRC) acknowledged the success the IRIS Program has had in streamlining the assessment development process, improving transparency, and creating efficiencies. The NCR's May 2014 report “Review of the Integrated Risk Information System (IRIS) Process,” recognized the EPA has made substantial improvements to the IRIS Program in a short period of time and went on to provide several recommendations. The EPA's IRIS program, which began in 2009, is a work in progress and will continue to evolve and improve. Following on this most recent Congressional report, the American Chemistry Council has these recommendations for the EPA to consistently deliver timely, high-quality, and credible chemical risk assessments. 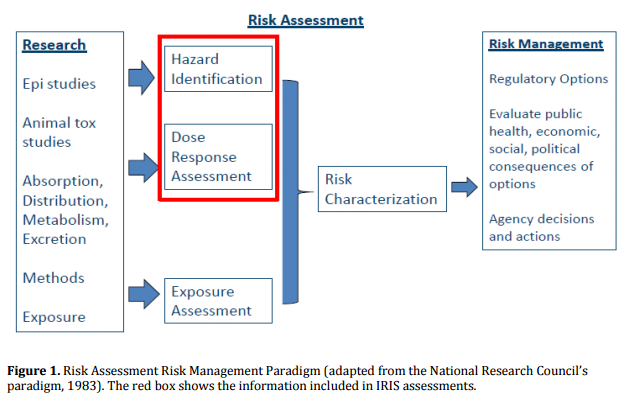 In its progress report, EPA states that changes to problem formulation and scoping have been implemented, and, in EPA’s own Human Health Risk Assessment Framework, describes important elements that should be included in the process, but are not referenced in the IRIS scoping and problem formulation documents for ethylbenzene, naphthalene and PCB’s. Recent IRIS assessments have not included clear and objective criteria, and the Chemical Assessment Advisory Committee (CAAC) review panels have been urging the EPA to create transparent benchmarks to judge data quality and relevance, and to clearly note the rating of each critical study according to these benchmarks. EPA should facilitate a two-way dialog at the bimonthly IRIS meetings so stakeholders leave the meetings with a clear sense of how EPA believes scientific differences should be resolved. Completing work in these three areas will help ensure that objective scientific analysis and transparency are at the core of how the EPA evaluates the safety of chemicals, as well as improve the productivity of IRIS, eliminating unnecessary delays in completing the assessments – and in turn, shorten the time needed to finalize the assessment.